How Long Do Trailing Arm Bushings Last? The trailing arm bushings join the axle and pivot point on the body of the vehicle. They are part of a trailing arm suspension in your vehicle. The front trailing arm consists of bushings. A bolt runs through these bushings to hold the trailing arm to the chassis of the vehicle. The purpose of the trailing arm bushings is to cushion the movement of the suspension while holding the wheel on the correct axis. 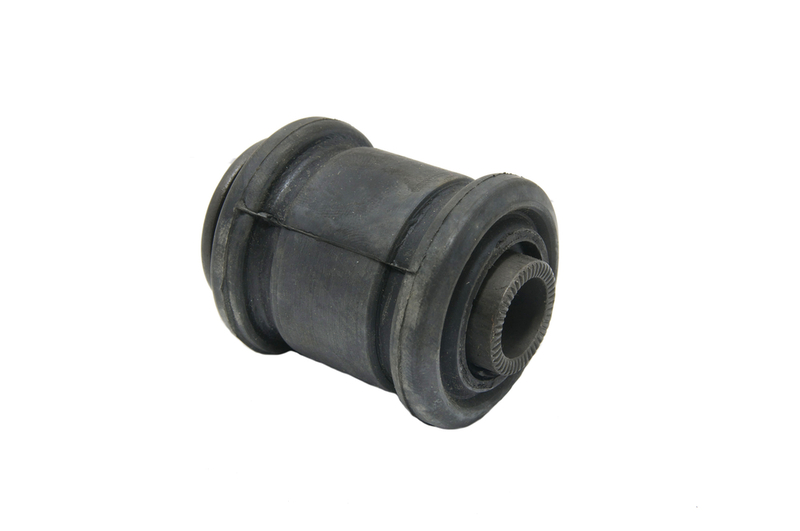 The bushings absorb minor vibrations, shocks, and noise from the road to make for a smoother drive. The trailing arm bushings do not require much maintenance, yet, they do go bad over time because of the harsh environment they work in. If your bushings are made of rubber, high heat may cause them to crack and harden over time. If this happens, you will notice signs that your trailing arm bushings need to be replaced. As soon as this happens, contact the professionals from YourMechanic to take a look at your trailing arm bushings and replace them. Keep in mind that if you have your bushings replaced, you will need a wheel alignment as well. Another issue that can shorten the lifespan of trailing arm bushings include excessive twisting. If bushings allow excessive roll on your vehicle, this can cause them to twist and ultimately tear. This can cause the vehicle’s steering to not be as responsive and cause you to potentially lose control of the vehicle. Another problem with trailing arm bushings is if transmission coolant or petroleum leak on the bushings. Both of these will cause the bushings to go bad and potentially fail. Since the trailing arm bushing can go bad and fail over time, it is important to know the symptoms they give off before they completely fail. The bushings are an essential part of your suspension, so this repair should be done as soon as you notice the symptoms for your safety and the safety of those around you. Q: Front creaking noise appears when driving. The noise is on the right side.